'You make me feel brand new' was written by Thom Bell and Linda Creed. It became a hit for the Philadelphia soul groep The Stylistics in 1974. It reached number 2 on the US Billboard Hot 100 chart and the UK singles chart. In the Netherlands, it reached number 12. The track appeared on the Stylistics' 1973 album, 'Rockin' roll baby', as well as their 1974 album, 'Let's put it all together'. It has been covered in jazz and pop circles, including a soulful version by Simply Red in 2003. 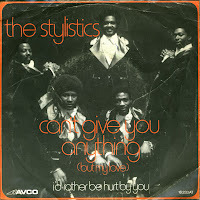 'Can't give you anything (but my love)' was a UK number 1 hit in August 1975 for three weeks by The Stylistics. After splitting from record producer Thom Bell in 1974, songwriters/producers Hugo & Luigi and George David Weiss took over, with arrangements by Van McCoy. 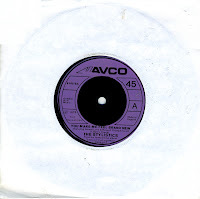 Although the split with Bell proved disastrous in the US, The Stylistics continued to be popular in the UK and this was their first and only UK number 1 single. In 2006, it was used as the base for a Japanese advertisement campaign by Gatsby, to launch their new male hair styling product, 'Moving Rubber'. The campaign was successful due to the tune and that the commercial featured one of Japan's most popular celebrities, Takuya Kimura, of the pop group, SMAP.